Less.js can run on both server side as well as client-side using Node.js or Rhino. However, in this post, we’ll discuss about how you can set it up for web development on the client-side. One of the fastest ways that helps you install Less.js on client-side (i.e. 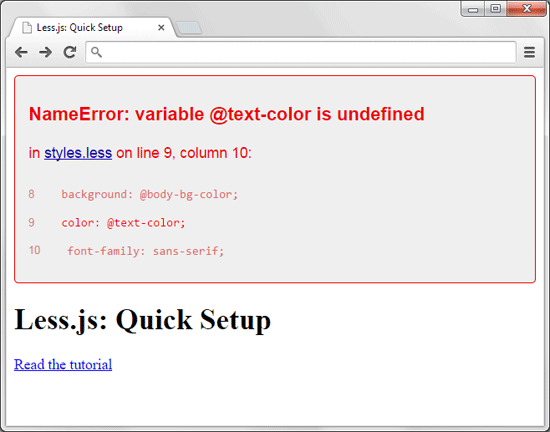 at runtime in the browser) requires you to reference the less.js library (provided in an HTML document). 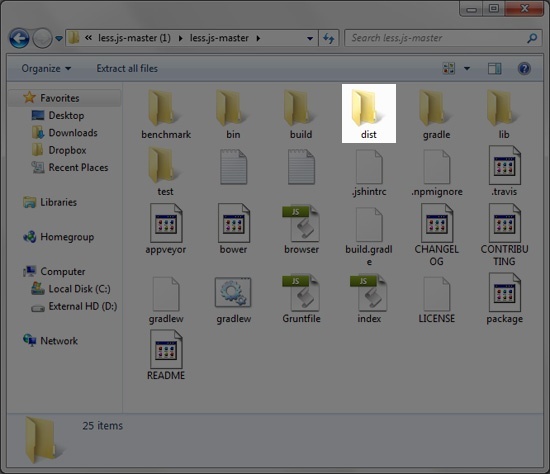 Step 2 – Open the less.js-master directory. It contains several files and directories inside it, however, we need to focus on what the “dist” (or distribution) directory contains. 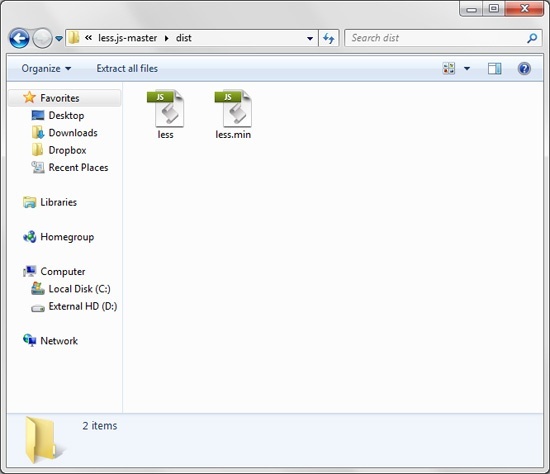 Step 3 – You will find two files within the dist directory, namely less.js and less.min.js. You can choose to work on any one of these LESS JS files. If you’re interested in reading source code, then less.js is ideal choice for you. The less.js file is the commented version, but if you’re searching for a minified version of the LESS file having small file size, then less.min.js is what you need. 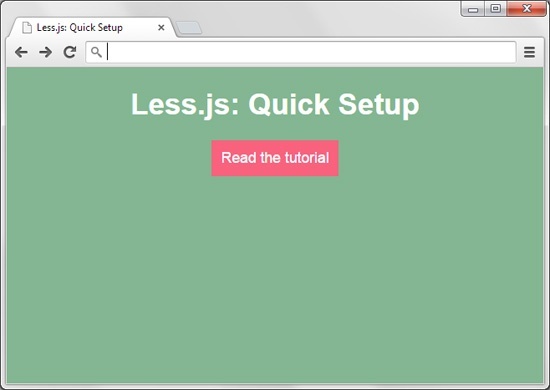 Step 4 – Next, you need to save less.js or less.min.js in your project’s directory. Step 5 – Open a text or code editor of your choice, and then create an HTML document. In addition, create a Less stylesheet having .less extension. For example, styles.less. So, now that you’re ready to utilize LESS on client-side, it is important to test whether your setup works or not. In that case, you will first have to write Less syntax in your style.less file, and then evaluate if the stylesheet is executed correctly in your browser. Reading this post will help you come to know about the fastest method, using which you can make your .less files up and running on the client-side server in no time. But this method is only ideal to be used for exploring and testing your Less.js setup. That’s because, letting the less.js library process your CSS continuously at the time when a user requests for a particular web page can impact its performance. So, when you are ready to completely use LESS in your web development projects, the best option requires you to install it and set it up on the web server. If you are starting with development of the hotel website based on WordPress, we can recommend our responsive WordPress hotel theme. It’s based on elegant dark color scheme, but also comes with lighter color variants that you can enable. Many aspects of the theme can be controlled through WordPress Customizer.